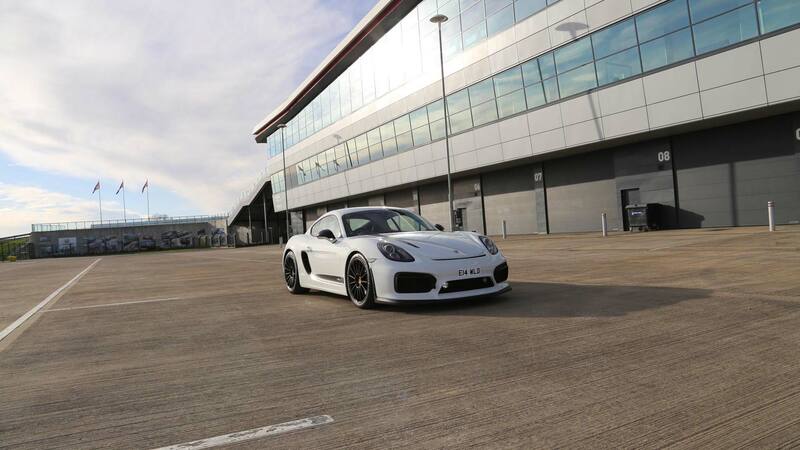 With the arrival of the GT4 we felt it important to test the car in as many different environments as possible. I threw my hand up for a short, sharp road trip setting the target time at 48 hours. This time frame was partly dictated by work and home commitments and partly with the logic that in my experience high intensity trips offer an extra challenge that isn’t present when you have a relaxed itinerary. So it was only left to decide where to go and who to go with. The latter was pretty much already decided as a few friends from school days were already on the case. A couple of good customers that I also regard as friends had also expressed an interest and their timing was good so the plan was hatched. The route was more of a challenge. UK roads were out as the only contender was a loop of Scotland and this was not something we fancied doing in 48 hours. Continental Europe it would be. One of the group had never been to Spa so we timed our trip to coincide with the tail end of a Goldtrack track day and as “in the area” included a run out to the Nurburgring in the mix. To make most efficient use of time and to create some additional “social” time I included an overnight ferry in the route plan. It was an early start on a Friday morning for a dash to Ealing to collect my co-driver Rod. The GT4’s far from subtle exhaust doubling up as an alarm call for many of the residents of his close. We met two of the other three cars at the Eurotunnel. Ady and Tone in their C63 AMG Merc took a relaxed view on timing and completely missed the crossing we agreed to get on so Top Gear rules applied and we left them. We drove from France into Belgium and although attempts were made to hook up at one of the service stations near Brussels, Tone must have been holding the map upside down as whilst we waited for them they drove past and the group was not united until Spa. Traffic was very heavy but the convoy of the GT4, Sagaris and 997 turbo caused quite a stir (and a lot of noise!) with many windows winding down as people in front prepared for the group to come past. The Gt4 seemed very popular with the young ones and at one point there were children hanging out of windows trying to get a better look! If you have never done a GoldTrack track day, you should. If just for the banter that you will get from Melindi. She was on top form when we arrived. Unfortunately the weather wasn’t and we arrived in a torrential downpour of rain and pretty much two thirds of the cars were packing up for an early dart rather than take the chance on a very wet Spa track surface. We watched a number of the remaining cars round and then stayed on to watch a car club who were doing a track evening. There was a good selection of cars from a 2CV (race prepared no least) to a GT4 and everything in between. From there it was off to the Hotel Beau Site where we had very comfortable accommodation and a great meal with much beer, wine and banter. The following morning was a fairly lazy affair with Ady and Tone again being relaxed on their timings. I planned out a route that took us through a good chunk of the Eifel mountains and avoided main roads wherever possible. Rod did a great job of keeping us to these roads. End destination was The Nurburgring to watch some GT racing. Although I could not re-draw the exact route again the roads we covered were great and there was little traffic on many of the roads. The convoy covered ground quickly and the tighter and twistier roads really showed how sublime the GT4’s handling could be. The punch from the engine in the upper rev ranges combined with the soundtrack from the exhaust on sport setting was intoxicating. The GT4 and Richard’s 997 Turbo separated from the TVR and the Merc on a few occasions where the composure of the Porsche models made the difference. Philipp (not a typo) was working hard inside the cockpit of the TVR and doing a fine job and the lurid slides out of junctions was one of the highlights of the trip for me. Our convoy picked up a couple of bikers that stayed with us for such a long way down so many odd roads and switch backs that they were clearly tagging us. When we stopped for a photo opportunity they stopped also and introduced themselves as a couple of French bikers also on their way to the Nurburgring. It looked like that was the direction we were heading in and we also looked to be having fun so they hooked on the back of the convoy. The Ring was great and the GT racing was exciting. It was a Porsche GT3 demonstration drive as the top two slots were GT3’s for the whole of the race and everybody else fighting it out to see who could come in third place. We left the circuit mid-afternoon and grabbed a late lunch/early tea in a lovely roadside hotel/café Shlossblick in Blankenheim near Aachen. The sun was out and we spent several hours swapping car related anecdotes. With hindsight we probably spent too much time talking as we were still in Germany at this point and although the ferry was a late evening sleeper from Holland it was still many miles to travel. As we drove back into Belgium and refuelled Dave made comment on the sat nav eta to the port and not having a lot of time for additional stops. It was at this point I looked up the booking details to get the address for our sat nav and spotted a significant error in my calculations. The time I thought we checked in at was in fact the time the ferry departed! We had lost a further hour and quick calculation of time and distance meant the last two hours of the drive would need to have a pretty significant speed average. Graham duly stepped up to the challenge and the 997 Turbo lead the convoy to the ferry port check-in desks at Hook of Holland just as they were closing up for the night. Pumped full of adrenalin and then subsequently beer from the bar that seemed to stay open all night we continued the banter until tiredness got the better of us and everyone retired to the cabins. We had already docked in Harwich when I woke for breakfast. The accommodation and facilities on that particular ferry were the best I have experienced. I have slept in many worse hotels! Being early morning on a Sunday the traffic was light and as promised to my wife and kids I made it home to see them for breakfast (my second of the day) on Sunday. Most of my brownie points intact!